This album is a compilation of the musical score for the well-known tragedy “Faust” by Johann Wolfgang von Goethe. 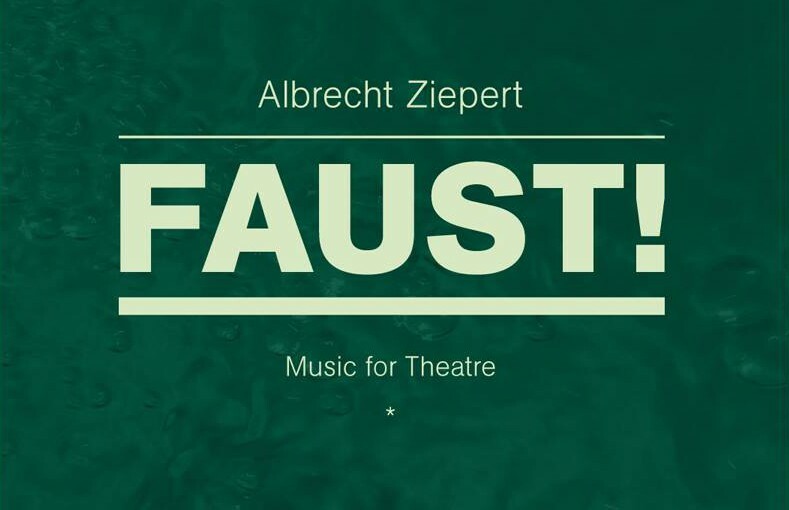 It was composed by Albrecht Ziepert for the theatre production “Faust! Der Tragödie erster und zweiter Teil” directed by Mark Zurmühle (Deutsches Theater in Göttingen) at Lokhalle Göttingen in 2013. It is the result of intense collaboration between Zurmühle and his cast, Ziepert, and the other musicians he involved. The album also acts as a best-of, which documents the ever changing nature of the production during the making and staging of it while the score was performed live each night. The music is inspired by various contemporary genres – especially electronic music. In 2015 »Faust – Music for Theatre« has been recomposed for a concert with philharmonic orchestra Jenaer Philharmonie, conducted by Marc Tardue at »Novalisfest« in Jena.